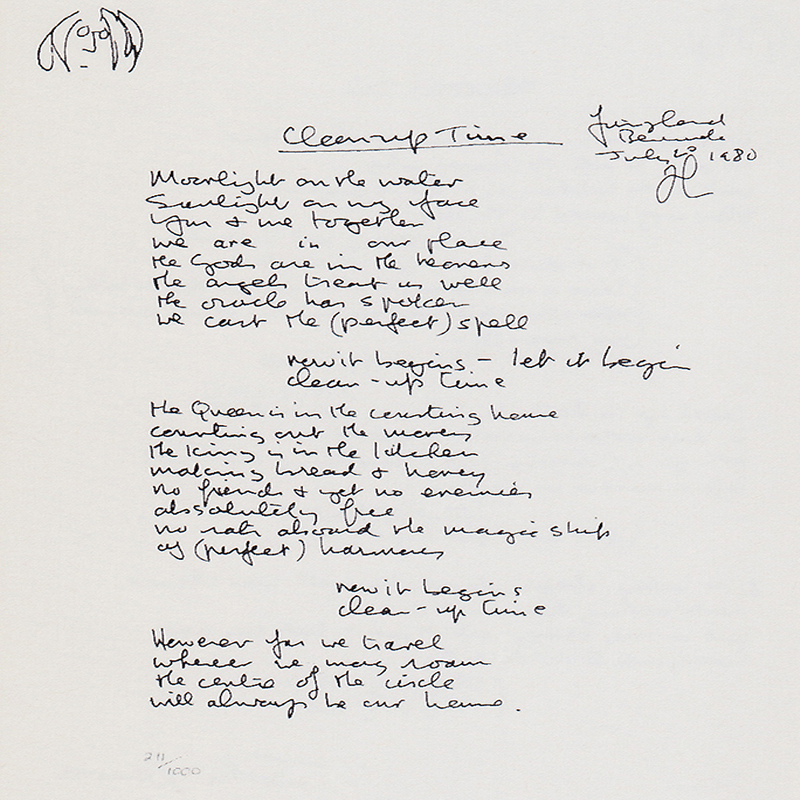 Like some other songs on John Lennon and Yoko Ono’s Double Fantasy album, including (Just Like) Starting Over, one of the themes of Clean up Time is rebirth. Another theme of this song, as with "Watching the Wheels" is John Lennon coming to terms with his quiet years raising his son Sean while Yoko took care of their business. Lennon wrote the song in Bermuda in June 1980.